Best Quality established in 1992 and is a leading manufacturer and exporter base in Penang, Malaysia. Our factory produces a wide selections of corporate gift, premium gifts, door gift and promotional items for the need of various industries demand. Our best-selling custom corporate gift range from collar pin, collar badge, recognition pin, custom medal, etching medal and pewter medal. We have clients such as Corporate Gifts Co. Premium House, Sports Shop, Trophies Supplies, Souvenir Wholesaler, Advertising Agent, Event Manager, Furniture Manufacturer, Machinery Manufacturer, Fashion Jewelry wholesaler / retailer, and etc. We also provide original equipment manufacturer (OEM) project services for the smaller scale pewter manufacturer, when they encounter bulk purchase with a larger bulk purchase or facing technical difficulty in productions. Our factories are running three sections such as Casting, Etching, and Stamping. Casting section are mostly manufacturing focusing on customizable pewter products production of such as 3D pewter key ring, special die cut collar pin, 3D collar pin (with or without colors), 3D pewter card holder, plates, coaster, figurine, button, belt buckle, pewter photo frame, paper weight, badge, medallion, gold plated tie bar, cuff link, brooch, letter opener, plaque award, stick on pewter on award / trophy, desktop accessories, pendant, bracelet, bangles, necklace, and etc. Etching section produces brass, aluminum, and stainless steel products like signage, nameplate, soft enamel etching collar pin with epoxy, name tag, luggage tag, machinery tag, label, bookmark, tie clip, etching medal, keychain, etching plaque award and etc. Stamping section produces stamping products like souvenir coins, lapel pin, collar pin, chest medal, and etc. As a leading medal and collar badges manufacturer in Malaysia, we strive to meet customer demand and satisfaction. If for any reason you are not satisfied with our product, please let us know and we welcome your feedback and thoughts, we also gladly provide a replacement. This is our guarantee to you of our commitment to your complete satisfaction.  Best Quality Technology Industries Sdn Bhd is a leading promotional items supplier in Malaysia, we provide high-quality premium gift products and services with 50 to 100 employees in our company. We supply key chain, collar pins, badge, brooch, name tag, nameplate, coaster, sport medal, figurine, button, belt buckle, photo frame, paperweight, stationary holder, medallion, card holder, pewter card holder, pen holder, paper holder, calendar holder, plaque award, tie clip and tie pin. Our market sector is North America, South America, Eastern Europe, Southeast Asia, Africa, Oceania, Mid East, Eastern Asia and Western Europe. Perhaps the export percentage on average is 70%-80%. Best Quality has a team of R&D staff of 5 to 10 people in our factory, contract manufacturing OEM services, design service and buyer label service.